Welcome to Jaffar Elahi, D.D.S., M.S., P.C.! We are a dedicated team of professionals using the latest in technology providing the very best in dental care. We pride ourselves in providing superior, gentle dental care while creating beautiful, natural results. We use the latest in Dental Technology that will not only make your visit a comfortable one but will provide you superior treatment as well! Dental disease is almost entirely preventable and oral health is just as important as the health of the rest of your body! We use the latest in technology and advances in modern dental material and techniques to create pleasing, natural-looking smiles! “I, as well as my entire family, want to thank you, and your entire dental group for all that you have done for my family. Quite honestly, if it had not been for you, my son would not be enjoying the dental health that you have provided him. I know you won’t remember, but the first time you examined him, you told me that it would take a miracle to fix everything that he had going on with his teeth and gums. His challenging situation was no match for you. 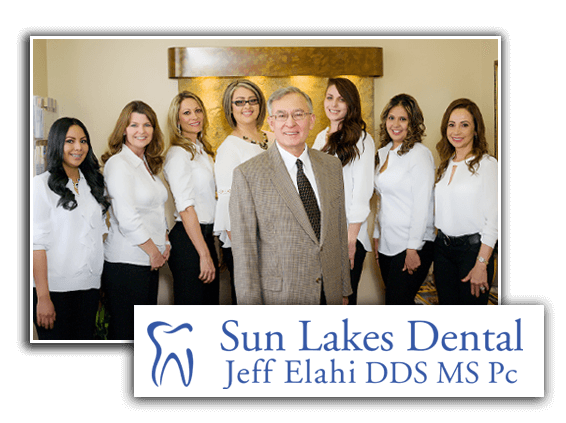 Sun Lakes Dental has served the area of Sun Lakes and the surrounding community since 1999. 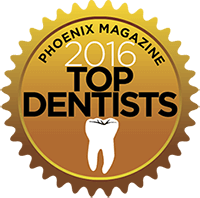 Dr. Jeff Elahi has surrounded himself with the best Dental Professionals and has kept pace with the latest in Dental Technology trends which allows his patients the most comfortable visit possible coupled with the best in oral care.